Daring, funny and unpretentious, Jérôme Adam doesn’t pull his punches! His experience and life challenges made him aware at an early age that a single decision can change your life forever. As a child, he dreamt of becoming a professional soccer player. Soon, he discovered his entrepreneurial spirit. His passion? Teamwork: optimize individual’s talents to make the team the best it can be. Entrepreneurial leadership is in his bones—at 23, he started his first business (Visual Friendly: 15 employees), followed five years later by his second (Easylife Consulting). In 2010, he and Guillaume Buffet launched JCPMY; an audio-visual production company offering a humorous take on diversity and co-existence in a web series broadcast by a number of companies, on the French TV channel W9 and viewed over 2 million times on the Web. Jérôme is a creative and innovative pioneer who blazes new trails and recognizes opportunities others miss. As an entrepreneur and a graduate of Science-Po and the ESSEC business school, Jérôme is also a man of commitment and action. He and Xavier Monmarché created a course at Science-Po called “Être entrepreneur aujourd’hui” (Today’s Entrepreneur). In 2014, he became treasurer of the think tank Renaissance Numérique (Digital Renaissance), rallying key academics and leaders of the French Internet to reflect on the transformation of society in the digital era. 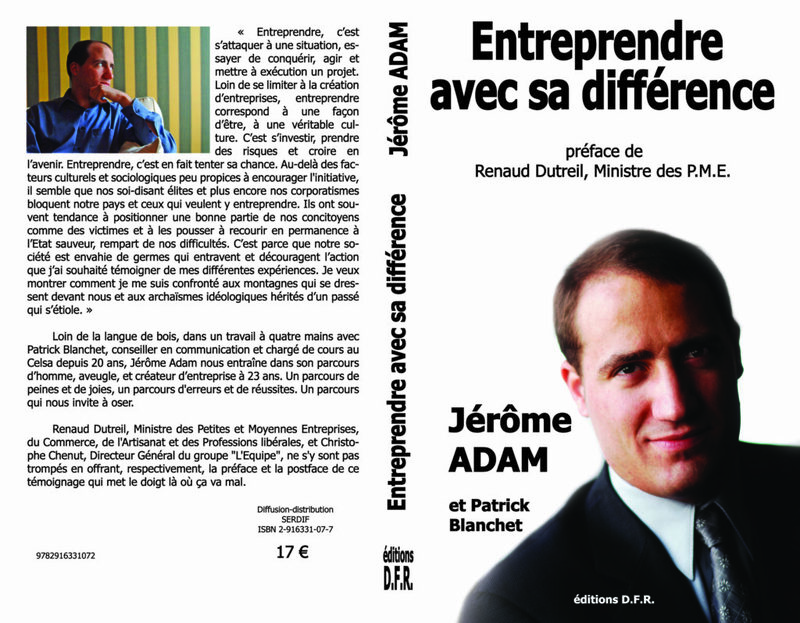 Board member of several associations and co-author with Patrick Blanchet of the book Entreprendre avec sa différence (The Uncommon Entrepreneur), Jérôme now gives conferences professionally. With Libérer son pouvoir de décision (Unlock Your Power of Decision), he shares his life’s most meaningful teachings. His career path exemplifies that “alone we may go faster, but together we go higher!” Jérôme invites his audiences to become more conscious by cultivating the values—enthusiasm, listening, risk taking and intuition—that lead to effective action, and to realize that each of us possesses a precious asset: the power to make decisions. Acceptance of oneself, the importance of distinguishing happiness from pleasure, decision-making, intuition, enthusiasm… The Uncommon Entrepreneur examines the values that enabled Jérôme to overcome his disability and be an entrepreneur. It’s a heartfelt testimony offering daily guidelines and stories everyone can relate to. Readers agree: personal growth is what this book is about. “How to Develop Your Activity with Your Network of Contacts.” (Alain Bosetti and Mark Lahore, October 2012, Dunod). Regardless of our level, we can act. Remember: small streams become wide rivers. A cause that concerns me first-hand. Hope, courage, resilience, medical research—all subjects I hold dear to my heart. To support research and offer assistance to patients and their families. The twelfth school of a national network created to address the special needs of children and their families… because no child should be left behind. To allow others to benefit from the humanist values and innovative ESSEC pedagogy. A way to give back to these schools that gave me so much. So that every young student can meet at least once an entrepreneur. Because education and culture are paramount to one’s openness and balance. To contribute to the renovation of the Porte Mars in Reims is an essential civic act. Because, year after year, they are committed to serve the most vulnerable. A tale of the heart and a family tradition. The Regional Committee of University Sports at Champagne-Ardenne. Endeavors that allow students to grow through creative experiences. Started writing a book on the relationship with my brother. Wrote the book #lemotdenotrefille (#ourdaughtersays), inspired by the original and funny words of our kindergarten-aged daughter. Start of a collaboration with Talents Inside to professionalize my conference activities and synchronize optimally with my career path and the messages I wish to share. The ascent of Mont Ventoux (French mountain) on a tandem bicycle with Guillaume Buffet—a six-month adventure recounted in the documentary Tandem Conquest directed by Henri Poulain. Watch the documentary. Began writing the original script Every Reason to Be Happy for cinema and television, based on my life story… followed by the co-writing of several screenplays. Created the JCPMY Company (I Can’t Believe My Eyes) with Guillaume Buffet, and launched the first Web series dedicated to diversity and handicap. Watch the Web series. 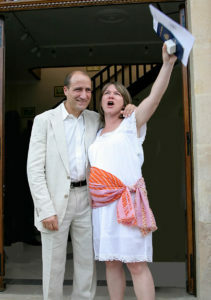 Death of Cedric, my brother; an intelligent man of great sensitivity, genuine kindness and generosity. Death following a brain hemorrhage of uncertain origin (all medical tests, detection of illicit substances and alcohol being negative). If Cedric had trouble finding his place in our society, our relationship and his (short) life remain rich in many lessons for me. Read the eulogy that I wrote for him at his funeral to invite everyone to reflect on our differences. Association with Florence Daumas to develop Easymetro’s ”The Subway Map that Speaks to You” (winner of the Concours Lépine, 2009). 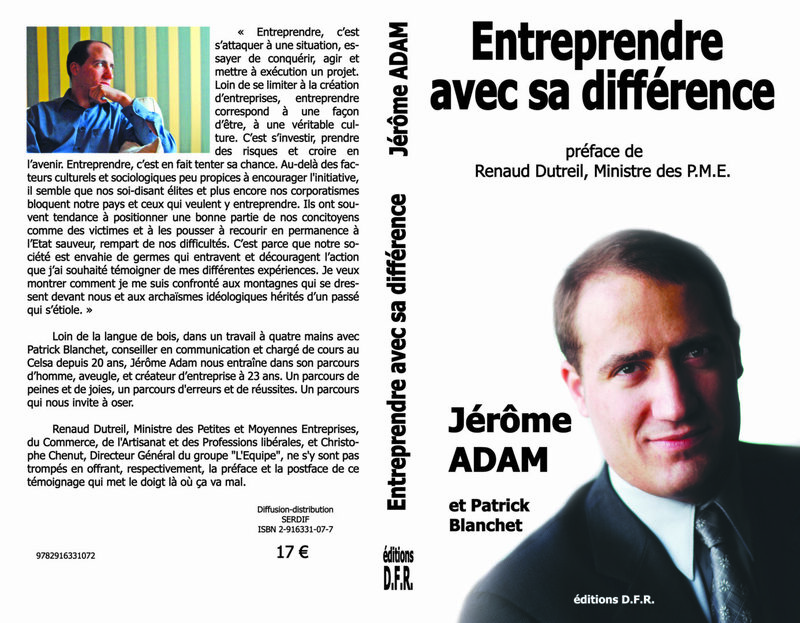 Release of the book The Uncommon Entrepreneur co-written with Patrick Blanchet (winner of best picks award on entrepreneurship, Advancia-CCIP, 2007). Death of my mother, an exceptional woman; full of values, generosity and uncommon courage. And that’s the least I can say to pay tribute here! Creation of Easylife Consulting. Offering assistance to businesses in the development of adaptability solutions to simplify daily life with accessibility to all. Originally, the observation that disability is a source of useful innovations to all on the example of the remote control invented for quadriplegic people. Creation with three partners of the Visual Friendly Company, a software editor (15 people) specialized in usability and accessibility of new technologies. Visual Friendly is a pioneer in the field of web accessibility, which has become a legal obligation in France since the Act of February 11, 2005. Studies at the AB Freeman School of Business (MBA from Tulane University, New Orleans, Louisiana, USA). Important and essential for me to mix business with pleasure during such stay. The business aspect of it was above all the independent study on the “Visual Friendly” concept. Studies at the ESSEC Business School, Specialization in Sales and Marketing Strategy. France champion handisport in 100 and 200 meters sprint category B1 (B as Blind in English or «Bigleux» (squinte) in French…). Fortunately Aladji Ba, club teammate and best buddy, was not yet naturalized French. If not I would have finished on the podium in second place. Studies at Sciences-Po Paris. Specialization in Communication and HR or CRH (in French) as «Cafe, Restaurant, Hotel» as said by some fellows “Science-Pipo“. Obtained a baccalaureate in my high school home of Reims. Loss of vision after a brain tumor and first experimentation with water skiing. Commencement of high school at the Sacred Heart of Reims… Including almost as many students as people in my hometown where I did my primary school and lived previously. First tackles, strikes, misses and goals in the training center of the Stade de Reims soccer team. Born in Reims on the Labor Day… Ironic for a mother and a future boss!